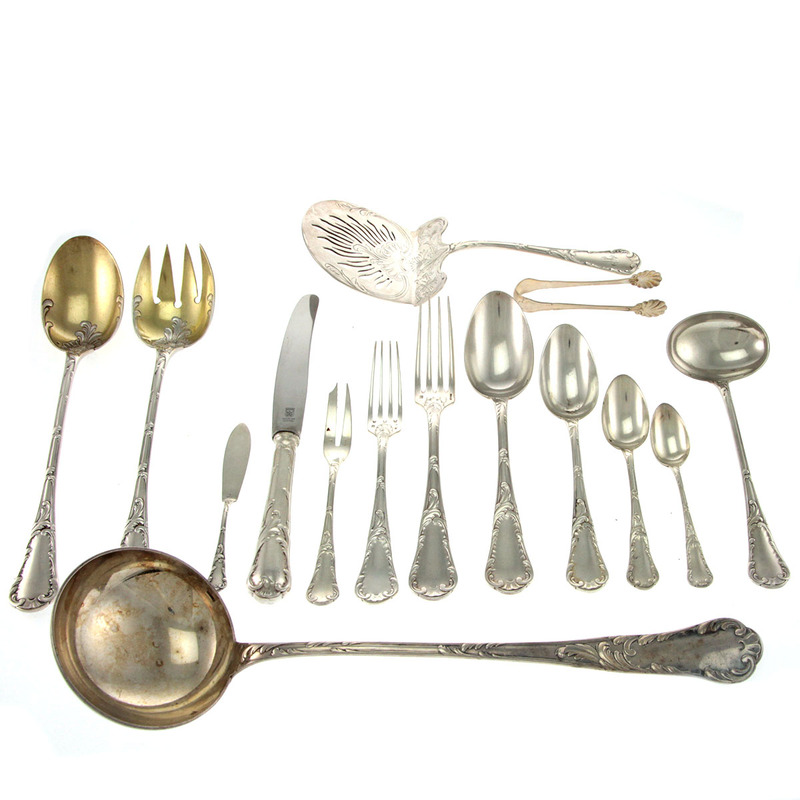 Pasarel - Christofle Silver Plated 83pcs Louis Xv Chrysanthemin Pattern Flatware Cutlery Set, Circa 1850. 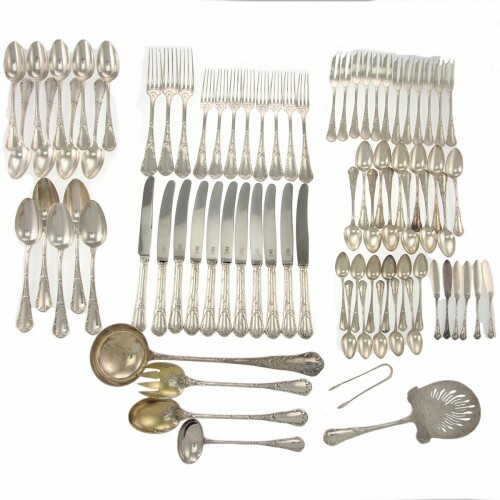 Christofle Silver Plated 83pcs Louis Xv Chrysanthemin Pattern Flatware Cutlery Set, Circa 1850. 12 seafood forks (length: 15.5cm / 6.1in). 12 dessert spoons (14.5cm / 5.7in). 6 butter knives (13cm / 5.12in). 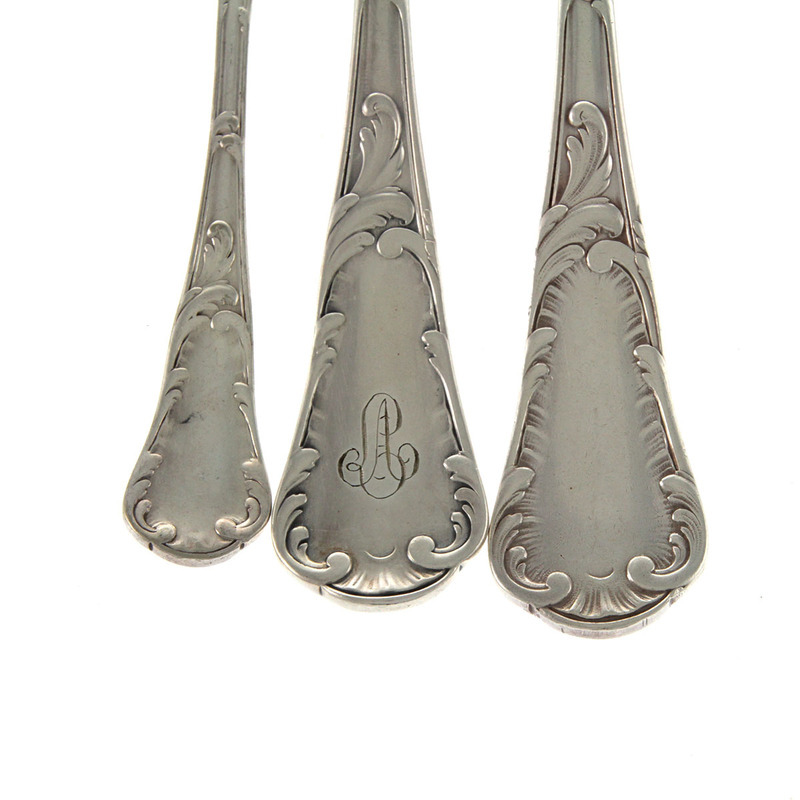 5 table spoons (21.5cm / 8.46in). 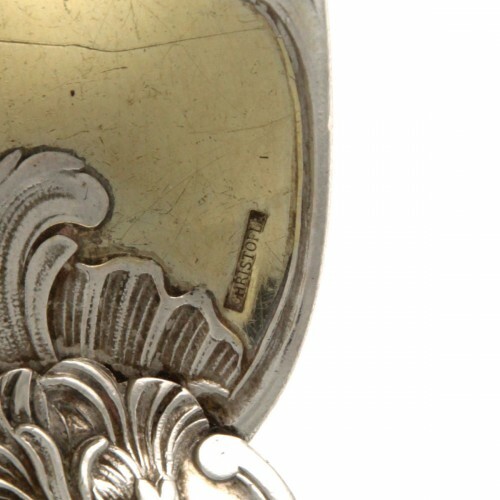 11 tea / coffee spoons (12.5cm / 4.9in). 9 soup spoons (19cm / 7.48in). 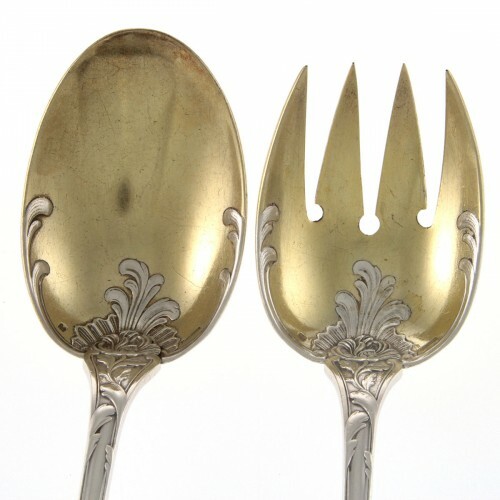 8 dessert forks (18.5cm / 7.28in). 3 dinner forks (21.5cm / 8.46in). 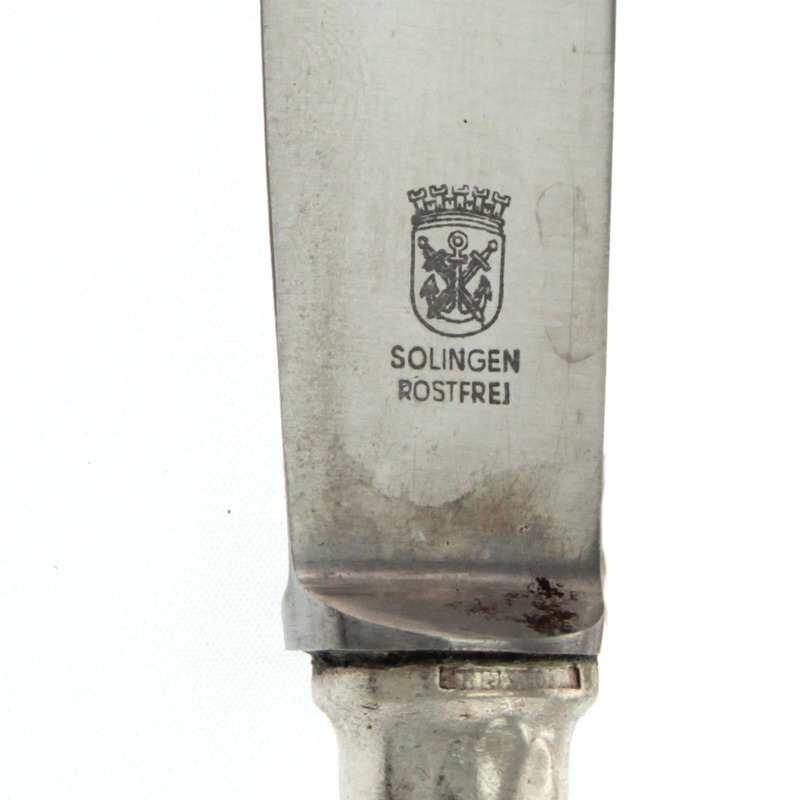 11 dinner knives (25cm / 9.84in). Soup ladle (36cm / 14.17in). 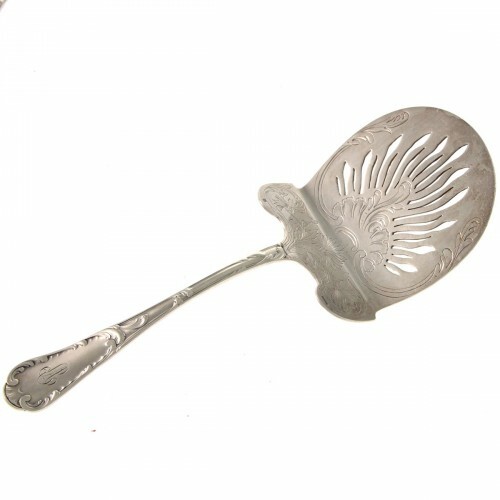 Sauce / gravy ladle (19.5cm / 7.67in). 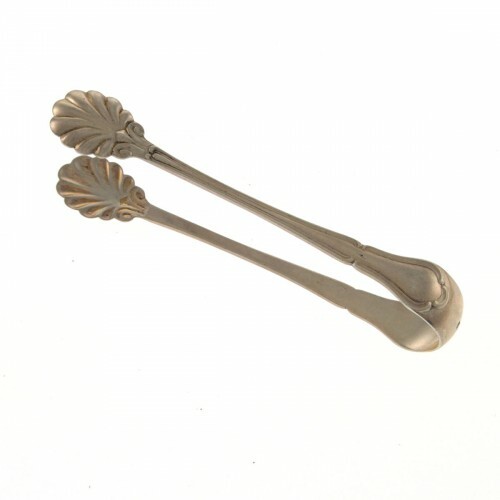 Salad serving fork (27cm / 10.63). Salad serving spoon (27.5cm / 10.82in). Pierced server (24.5cm / 9.64in). And a later Czechoslovakian 800 silver sugar tongs, 1920’s (10.5cm / 4.13). 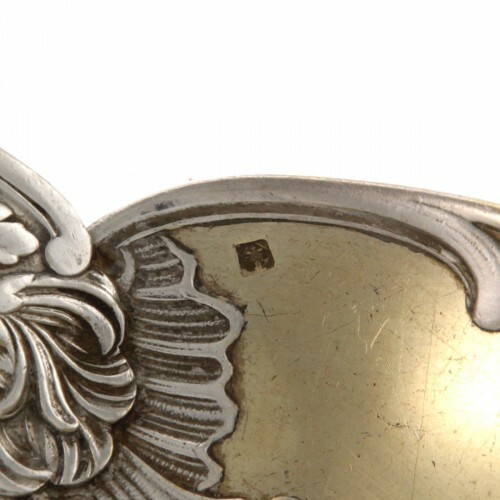 All of the pieces are made in Louis XV Chrysanthemin pattern (excluding the sugar tongs). Some pieces are engraved with a monogram. The salad serving fork and spoon are with gilt (gold washed) bowl and prongs. 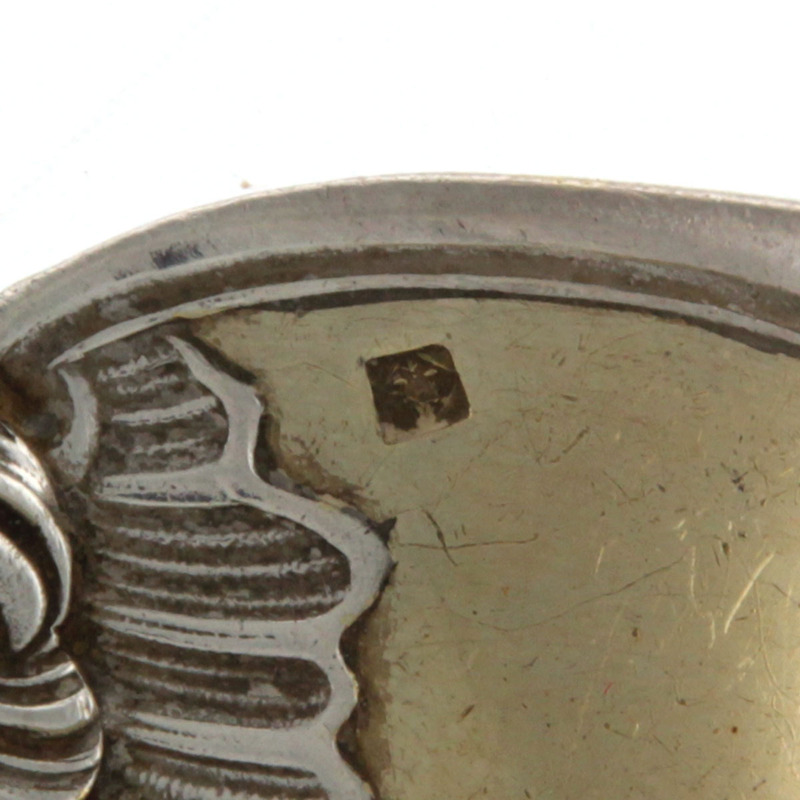 Very good, minor scratches, some might need some cleaning. Christofle silver plate marks and logo.